Pic of the Vine is a monthly image taken by contributor Richard Duval. See previous Pic of the Vine images here. 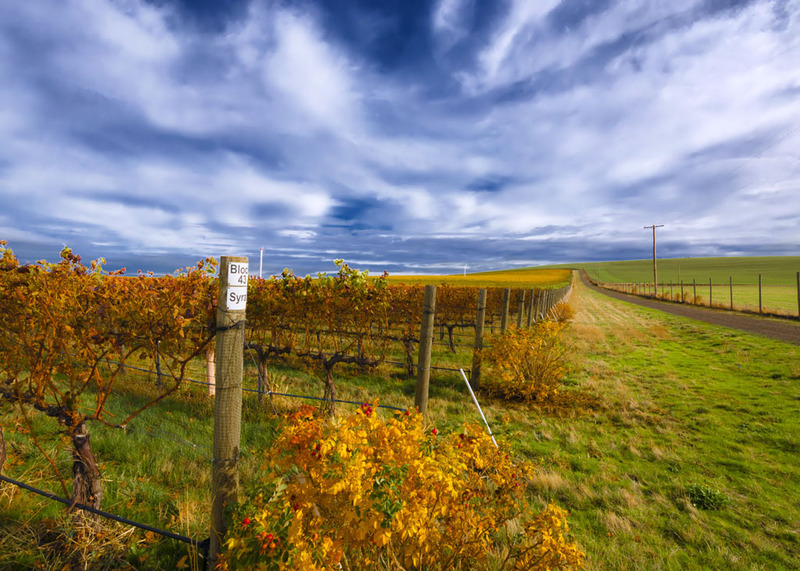 January's Pic of the Vine is another crush image from Richard Duval who captured this fall color display at Les Collines Vineyard in the Walla Walla Valley. In a short time, Les Collines has established itself as one of the state's top sites for Syrah, including examples from Gramercy Cellars, Amavi Cellars, Rasa Vineyards, Kerloo Cellars and others. Click on the picture to enlarge the image or go to www.vinelines.com to download a full-sized version.